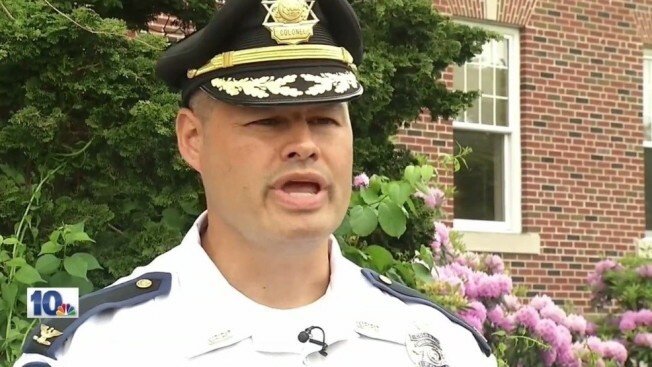 The mayor of a Rhode Island city says its acting police chief has been suspended with pay. East Providence Mayor Charles Lombardi said Saturday that Christopher Pelagio has been suspended from the job "until further notice." He did not give a reason but says it's not a "criminal situation." Lombardi says Acting Deputy Chief Charles Davey will fill Pelagio's role. Pelagio was promoted to acting chief in December 2014. Last year, the city's police union announced a vote of no confidence in him. A message was left Sunday for Pelagio.